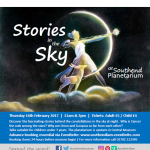 Discover the fascinating stories behind the constellations in the sky at night. Why is Cancer the crab among the stars? Why are Orion and Scorpius so far from each other? For advice on suitability of content please call 01702 212345. 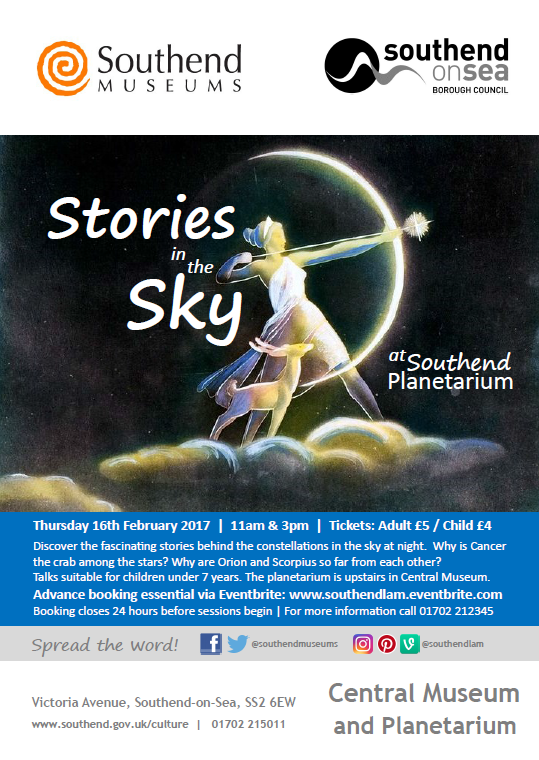 Please note: the planetarium is located on the first floor of Southend Central Museum and only accessible via stairs. Booking closes 24 hours before sessions begin.